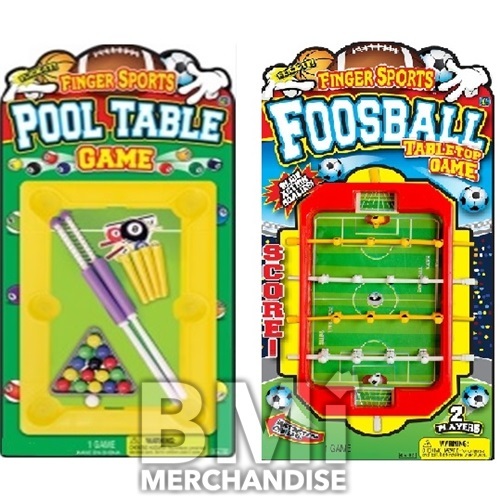 FINGER SPORTS FOOSBALL/BILLIARDS TABLE TOP GAME. 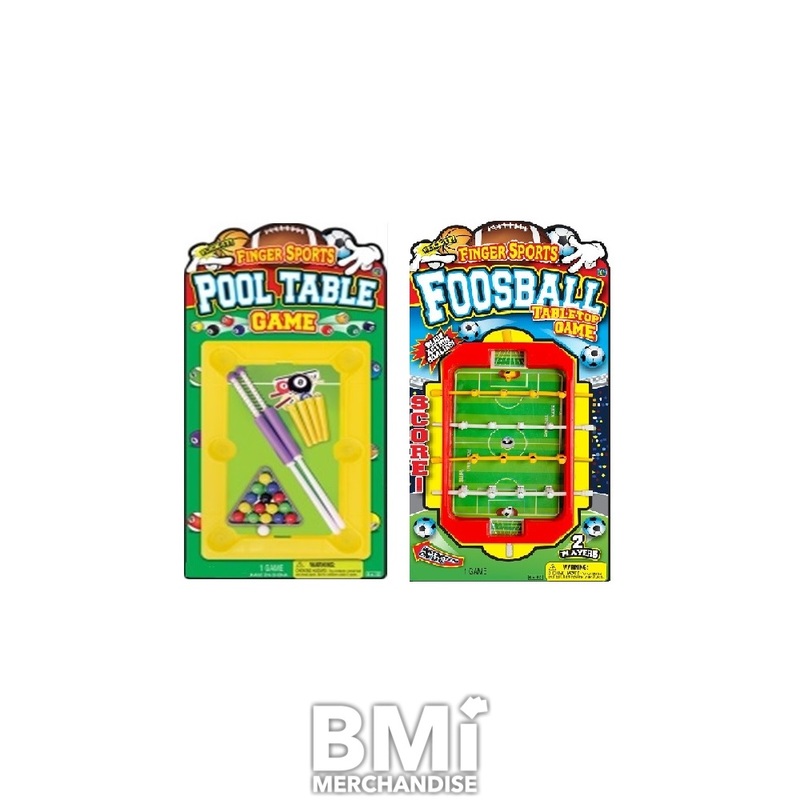 TABLE TOP FOOSBALL 2 PLAYER GAME INCLUDES 2 GOALIES, FRONT LINE AND DEFENSIVE LINE, AND A SILVER BALL FOR HOURS OF FUN AND THE BILLIARD TABLE INCLUDES TABLE, 2 SPRING ACTION STICKS, RACK, AND 16 BALLS. GREAT REDEMPTION CENTER ITEM.